His mother's funeral forces Takeru Hayakawa (Jo Odagiri) to return back to his hometown from Tokyo where he works. By the time he arrives there, he cannot avoid arguments with his father (Masatô Ibu), and his older brother Minoru (Teruyuki Kagawa) quickly interferes to calm down the tension, as he always does. Minoru took over the family business, a gas station where he works along Takeru’s ex-girlfriend, Chieko (Yôko Maki), who’s now closer to Minoru. Later that night, Chieko and Takeru meet each other at Chieko’s place, and after some drinks they cannot avoid to remember the past, ending up to a one-night stand. The next afternoon, the three of them join an excursion to Hasami River in the mountains. When they cross a swing bridge, Takeru distances himself to take photographs and becomes an eye witness of an incident. 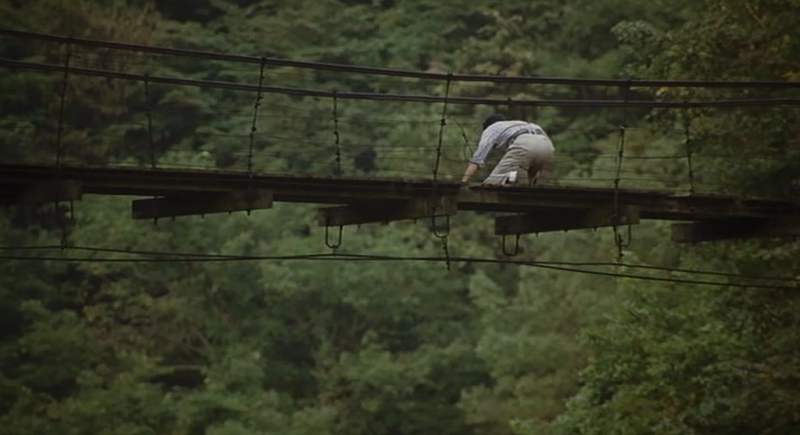 Rushing back to the bridge, he finds Minoru alone and Chieko already fallen to the gorge below. Minoru surrenders himself to the police and he is arrested for a homicide. 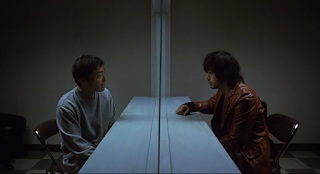 During the trial and Takeru's frequent visits to the prison, true feelings are revealed and Takeru finds himself trapped into feelings and doubt about what really happened. Doubt that leads him to a decision that might affect the trial and his relationship with his older brother. Using Japanese society as background, Miwa Nishiakawa presents the story of the relationship of the two brothers. Takeru, slightly, represents the people with the desire to leave their home to chase their dreams for a better life in the urban city (of Tokyo). In his case, the fast-paced life and his tested relationship with his father forced him to alienate himself from his family. On the other hand, Minoru represents the people who are unable to leave the coast and compromised with “tradition,” taking over the family business, in a society where tradition keeps trying to impose to people. Nishikawa presents issues about family ties, how people take their closest relatives as given, and how they should make an effort to preserve these relationships. It refers also to the alienation of the modern rushing times in the big cities, the misunderstanding between people, and how memories can arouse you and remind you what has real meaning in this world. 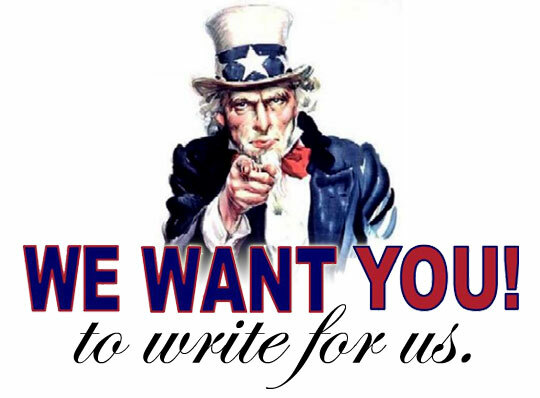 But the film does not intend to be philosophical, but humane, as the story develops in more minimalistic lines. 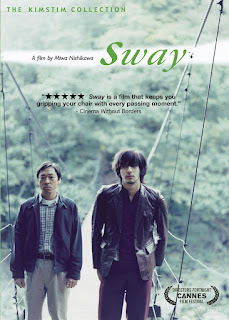 "Sway" is a rare psychological drama, and this one coming from Japan, a country that has accustomed us to unique human situations. It leaves the audience riveted as we observe, in the courtroom, the trial of Minoru alternating with encounters in the prison with many memorable conversations, scenes and twists in the plot. However, the real intentions of the main characters about their feelings and the truth do not become clear and is really interesting how the discipline and impartial brother suddenly becomes a parasite in Takeru's heart and gradually grows bigger and tortures his conscience. "Sway" is a decent movie with great impact in many aspects. Some people may leave emotionally drained and want to change something in their lives after the first screening. 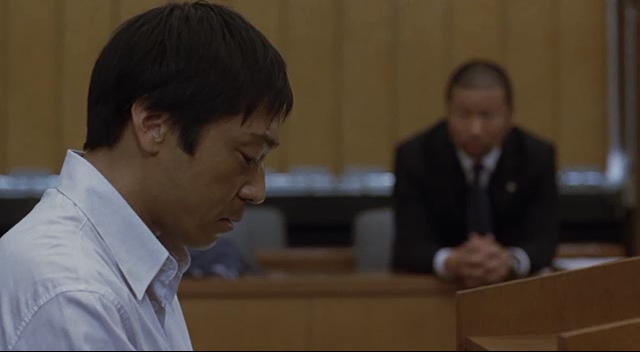 For me, the apathetic face of Minoru during the trial is still haunting me. The remarkable performance by Teruyuki Kagawa is responsible for this emotional rollercoaster until the very end of the film ,where the bridge between the two brothers is still swaying.